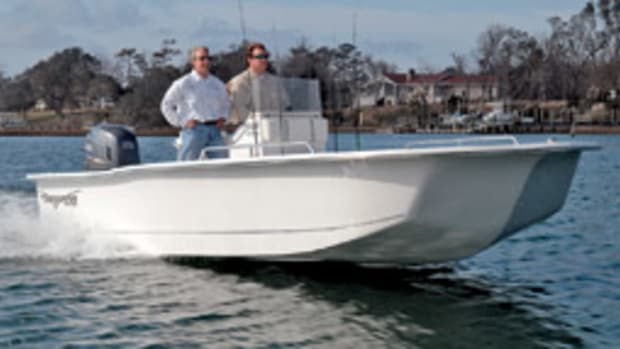 About 15 years ago, Woodworth, 52, would take time off from his job as a graphic designer, pack a picnic lunch, and grab his wife and three kids for a ride on the New Meadows River aboard his second-hand Boston Whaler Outrage. 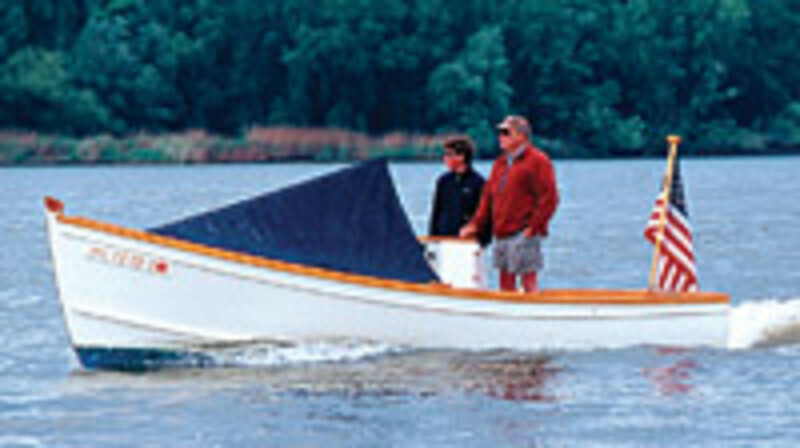 The 18-footer had plenty of oomph with its 150-hp Johnson, and the family enjoyed using it in the waters near Woodworth’s home in West Bath, Maine. 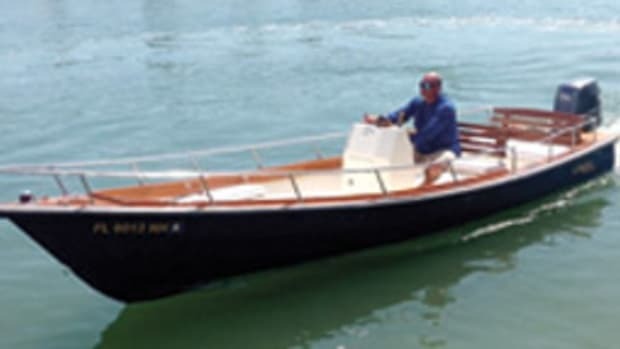 Tom Hill is well known among amateur wooden-boat builders who have used his plans to build a variety of small craft, including canoes, dories and skiffs. 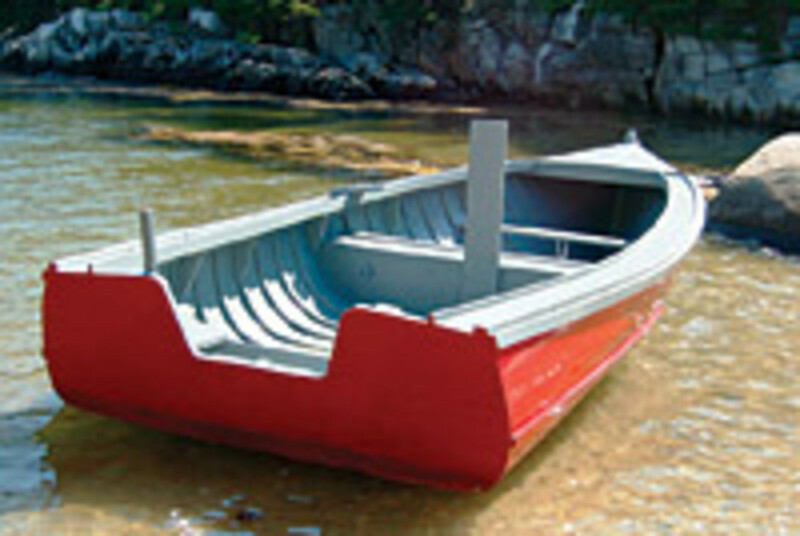 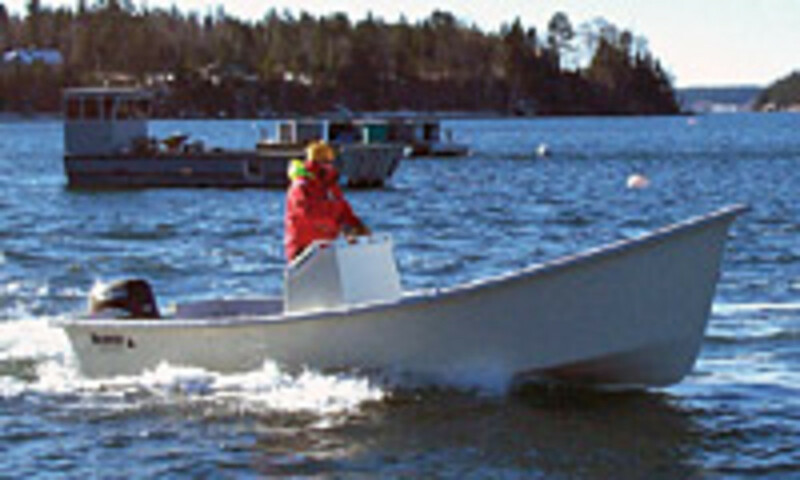 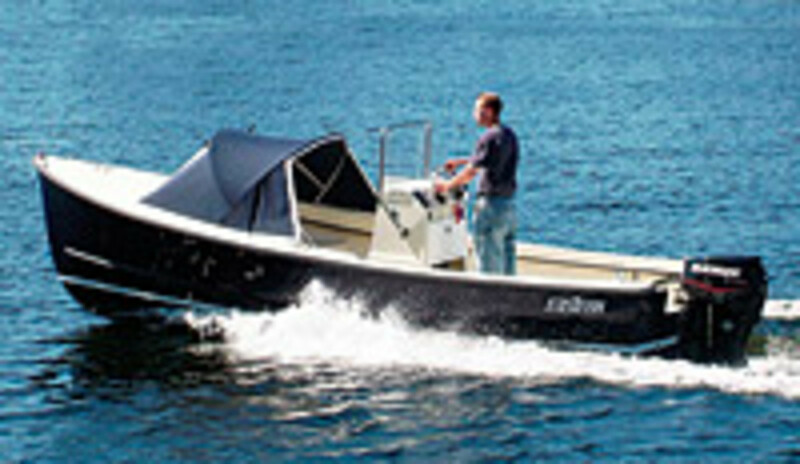 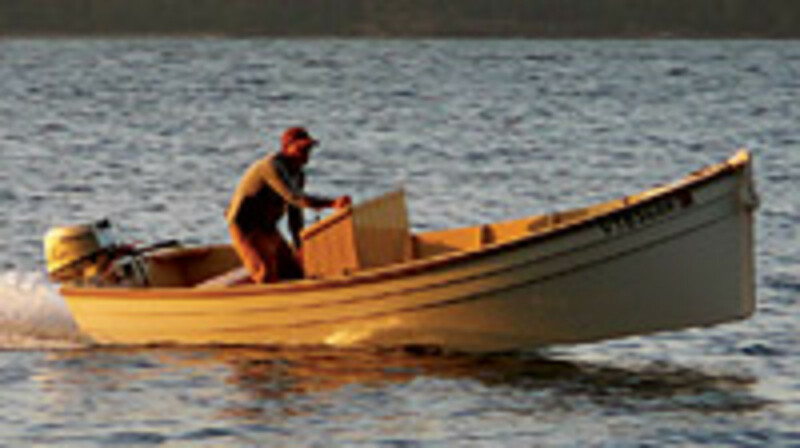 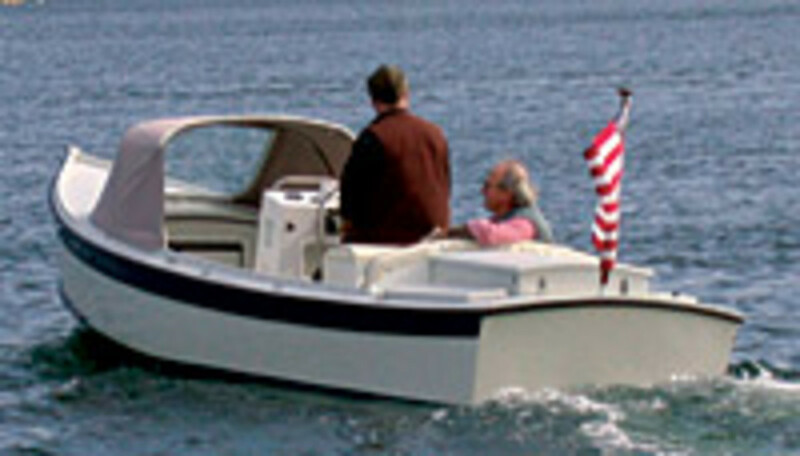 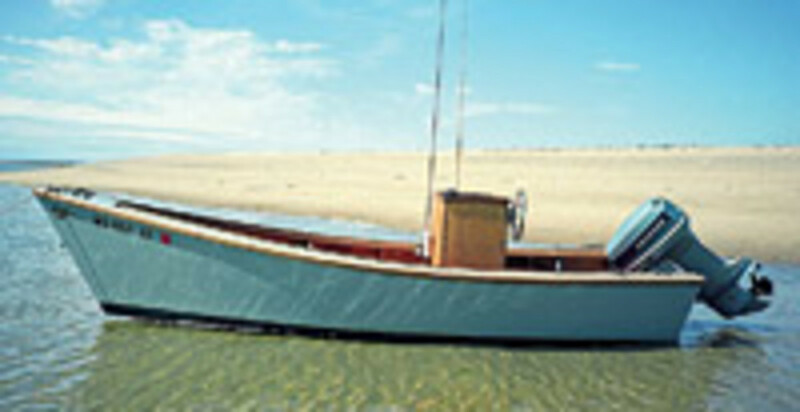 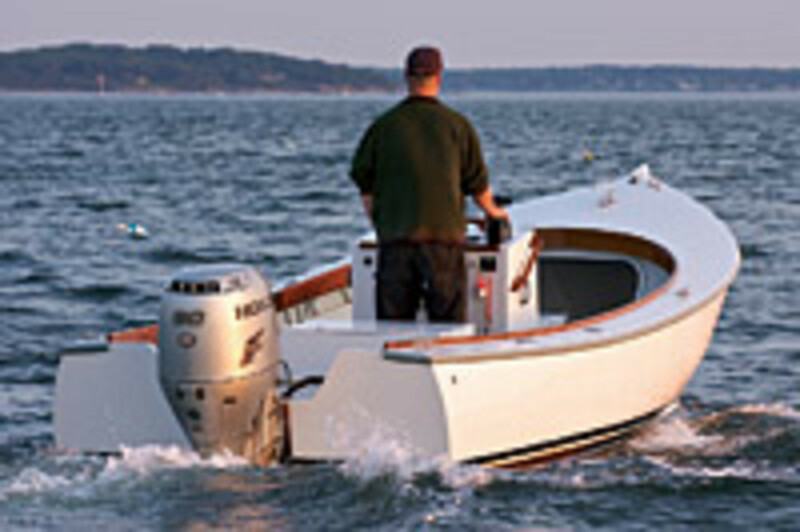 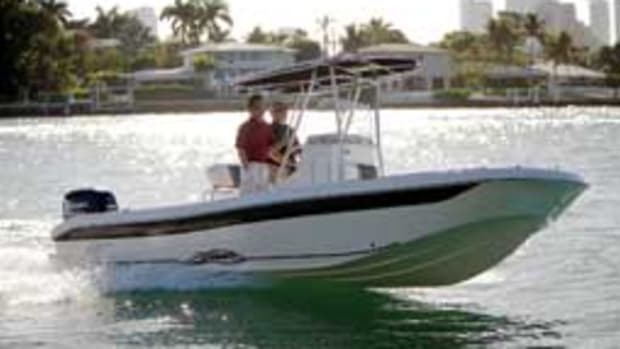 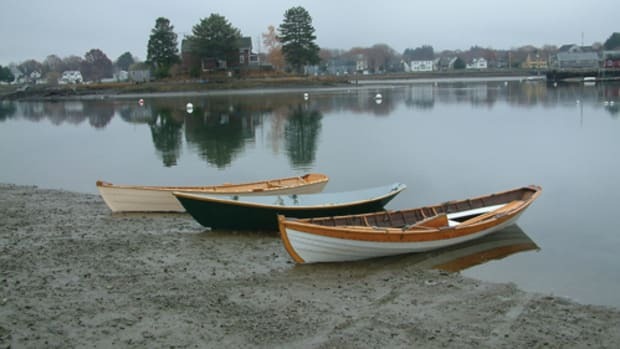 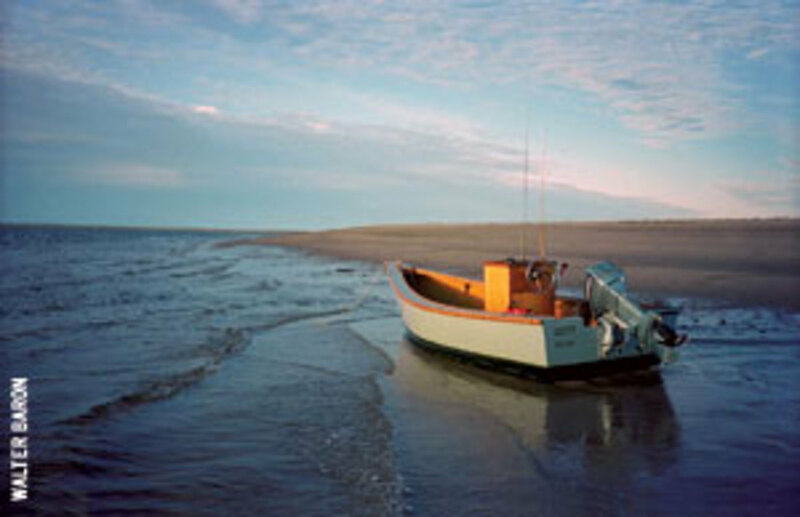 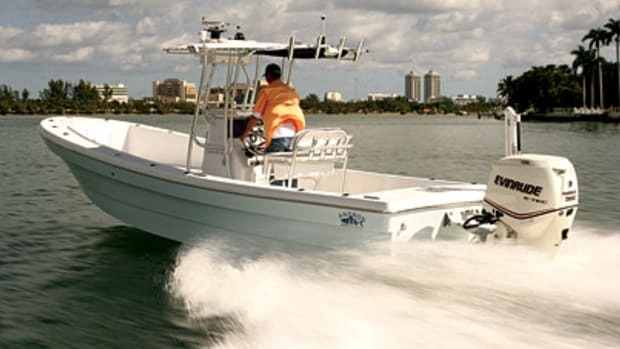 Hill, author of “Ultralight Boatbuilding” from International Marine, designed the flat-bottom Long Point skiff for use on Massachusetts’ Cape Cod Bay, in the shallows and coastal waters.